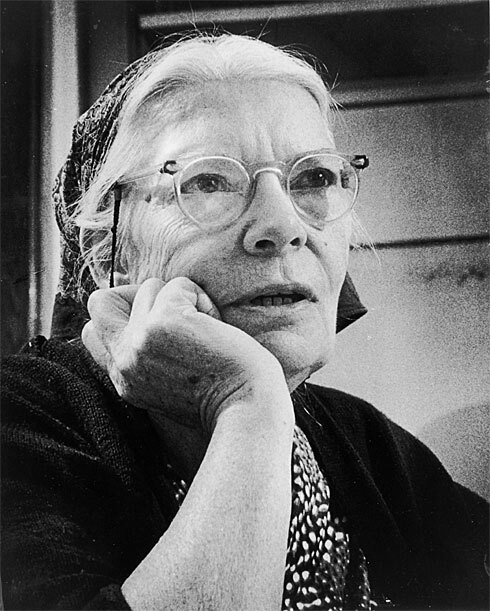 Later in her life, and in her own words, Dorothy Day questioned whether houses of hospitality were really what Peter Maurin had had in mind? With Peter’s encouragement she had followed her own vision for the Catholic Worker, true. But she had neglected the reality that land itself is integral to human community. A staunch urban dweller, Day never wrote much on the green revolution. Marxism, socialism, and capitalism each came into their own during the industrial revolution; they were and are urban-rooted gospels. In fact, prior to the industrial revolution these views were irrelevant. It was the drive for profit that shifted the fundamental mechanics that had historically fostered genuine community and twisted it into what urbanized society now perceives as progress. For Peter Maurin this shift brought with it unprecedented waste and devastation to all of life…material, environmental, and human. For Maurin the Great Depression was the natural fallout of a system that had lost touch with the land…the greatest beneficiaries of which were people whose only interest was that of buying cheap and selling for a profit. Society had come to be controlled by production for the sake of wealth, rather than of need. And it would reflect the reasons for the failures of their first farm, where a hundred people flocked in the early summer, only to find two residents there by December. The relationship to the land in the context of what urban dwellers are acculturated to believe was and is just too big of a leap for most urbanites, forgetful of history, to accept. Maurin outlined a plan in harmony once again with the land and fused it with a sustainable holistic community. In the end there is no chance of creating true community within a system based on greed. That would be why we are a Worker farm.